DEK Stencil coatings are extremely thin fluxophobic coatings that can be applied to the stencil surface and/or aperture interior walls. Solder paste is prevented from adhering to the coated areas, helping reduce required understencil cleaning frequency and, in the case of coated apertures, encourage better material transfer efficiency. DEK NanoUltra stencil coating — Applied immediately following stencil production, DEK NanoUltra covers the underside of the stencil and the aperture walls with a hydrophopbic and oleophobic permanent coating. 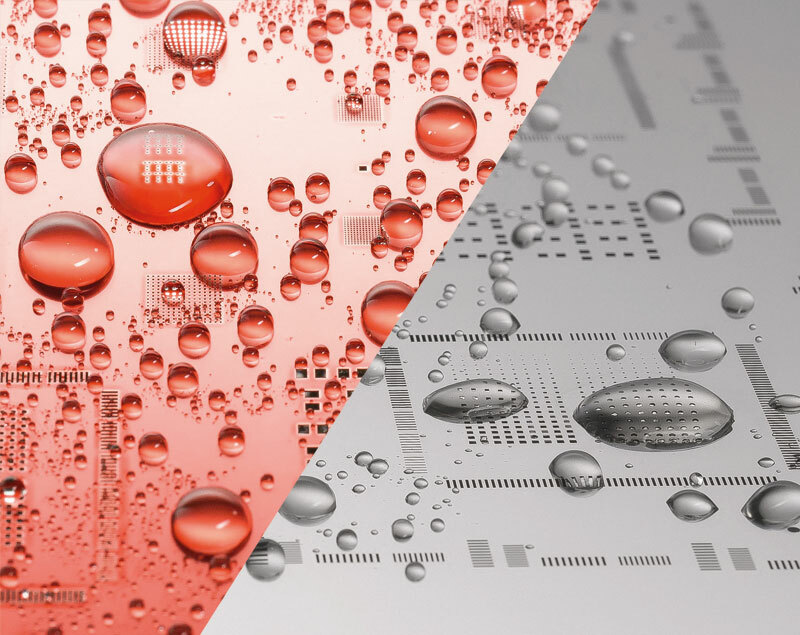 The coating provides improved print definition for challenging Area Ratios, better transfer efficiency and reduced understencil cleaning frequencies. NanoClear® stencil coating — A self-applied nano stencil coating technology that comes conveniently packaged in a single-use, cost-effective wipe, NanoClear® helps reduce cleaning frequency and eliminate common defects such as bridging, insufficient material and solder balling.